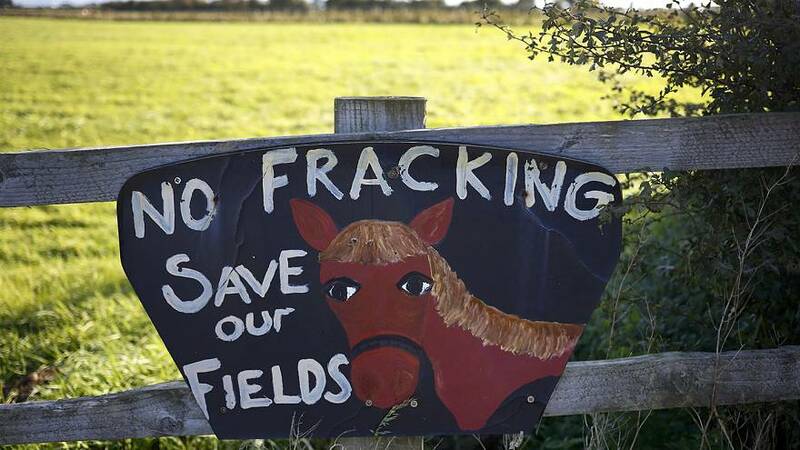 The British government has issued its second-ever fracking permit. Shale gas company Cuadrilla will now test to see how much gas it can retrieve from the site in Lancashire in northwest England. It said commercial operations could start in 2018. The local authority had refused permission but central government in London overruled that. Britain is estimated to have substantial amounts of shale gas trapped in underground rocks and the government wants to exploit it to help offset declining North Sea oil and gas output. It said the shale gas industry could create 64,000 jobs and help economic growth. Environmental groups are concerned shale gas fracking could contaminate groundwater and that extracting fossil fuels is incompatible with the country’s commitment to fight climate change. The approval is only Britain’s second since a moratorium on fracking was lifted in 2012. The government’s use of new powers to overturn a Lancashire County Council rejection of the permits shows its readiness to rule in favour of future fracking applications. The council rejected the permits in 2015 due to concerns about noise and traffic. However, the market price for gas in Britain has dropped around 30 percent since Cuadrilla first lodged its application in 2014. “The economics of shale extraction in the UK are still highly uncertain. The costs of UK shale will not be clearer until a significant amount of exploratory drilling takes place,” said Jim Watson, director of the UK Energy Research Centre.